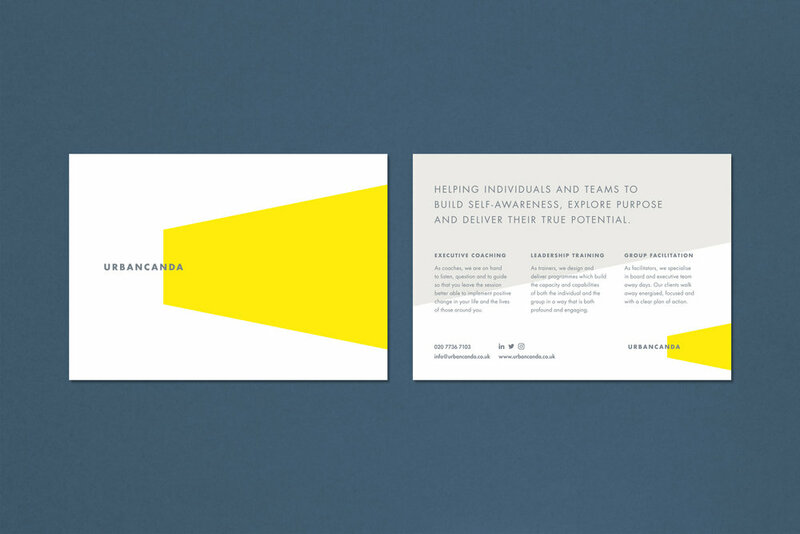 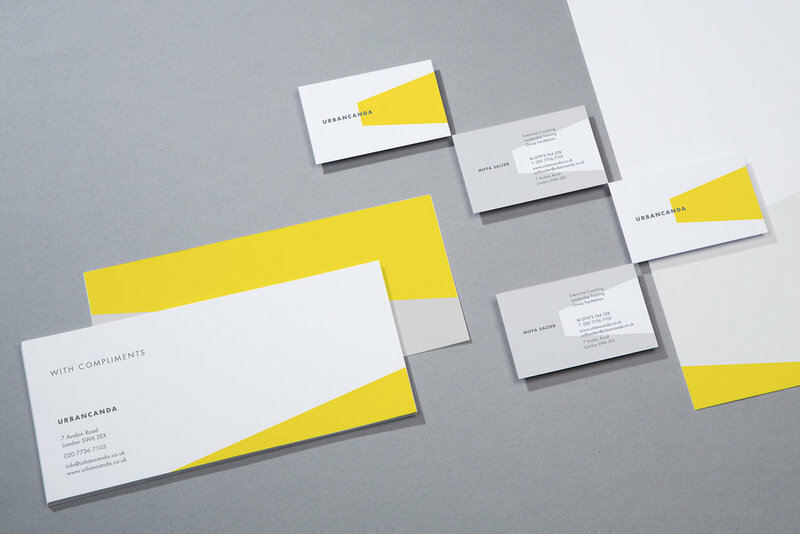 Brand identity and website redesign for a coaching company helping leaders reach their full potential. 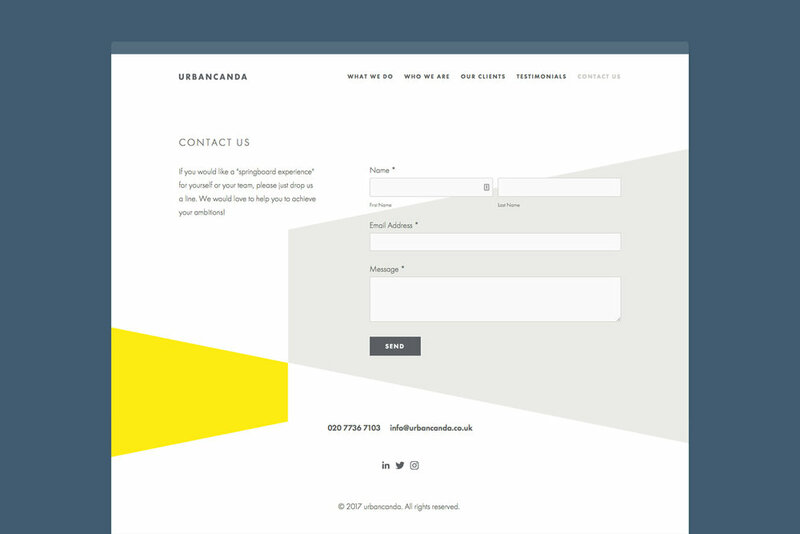 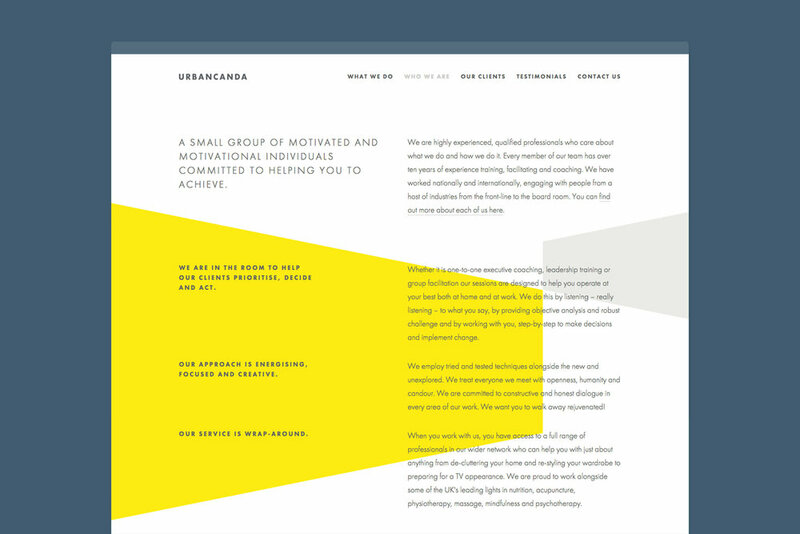 Urbancanda is a London based coaching company specialising in leadership training and executive coaching. 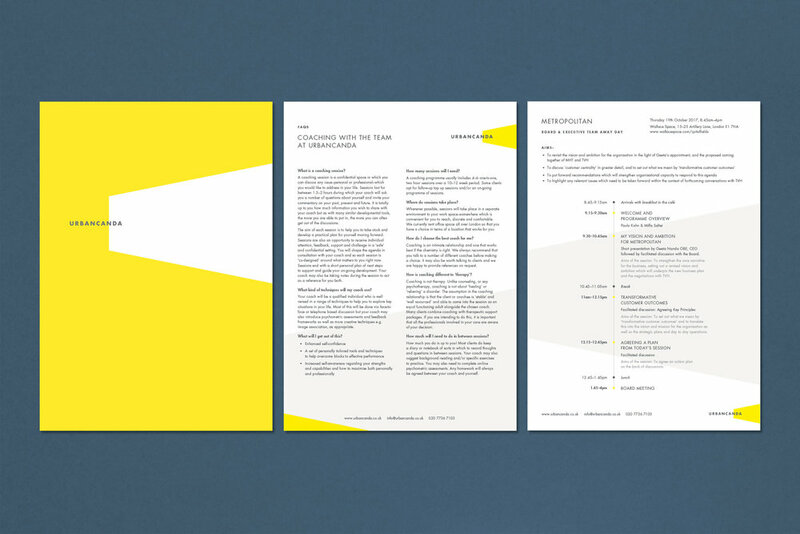 Led by Miffa Salter, the company provides a space for reflection and decision making, helping today’s leaders explore their purpose and reach their full potential at work, within themselves, and in the communities they serve. 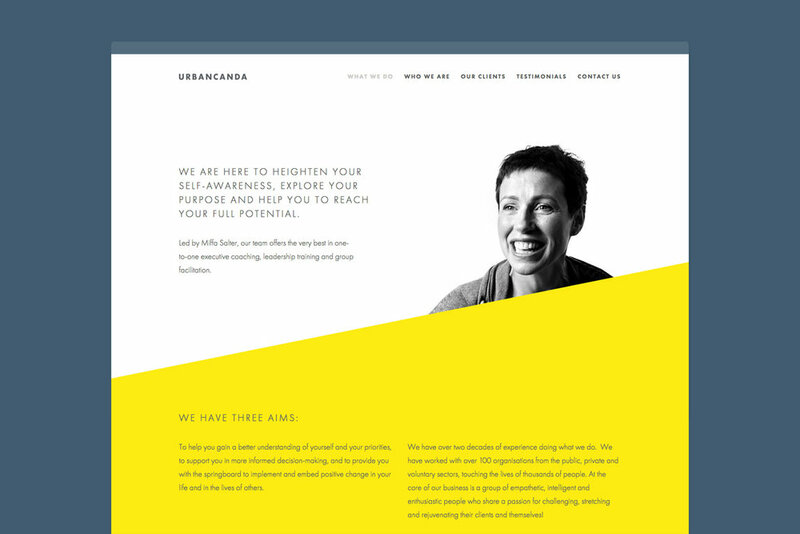 We worked with Urbancanda to clarify and define their own purpose and developed a brand identity that communicates their expertise in facilitating positive reflection and self-development.